When looking for Silverthorne Condos for sale in Summit County, Colorado there are many factors to consider. Such as location – you can be along the banks of the Blue River, in a more family oriented area such as Willowbrook Meadows, or you can purchase a condo in the Wildernest area. With a plethora of options for Silverthorne Condos, you should have no trouble finding your ideal property. 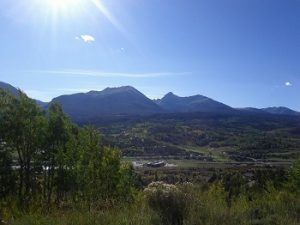 Silverthorne Real Estate offers many options for mountain condos. Whether it is a small condo on the banks of the Blue River, a luxury condo near the Raven Golf Course, or a quaint condo a few blocks from shopping and restaurants on Highway 9, you will find exceptional condos for sale in Silverthorne Colorado. Contact Justin and Krystal Knott with LIV Sotheby’s International Realty today to ask general questions about Silverthorne CO Real Estate or specific questions about Silverthorne condos you view on our website.